I am honoured to be showing in the company of so many great artists in the NCECA Annual Exhibition 2017, titled The Evocative Garden, curated by Gail M. Brown, at Disjecta Contemporary Art Center in Portland, OR. 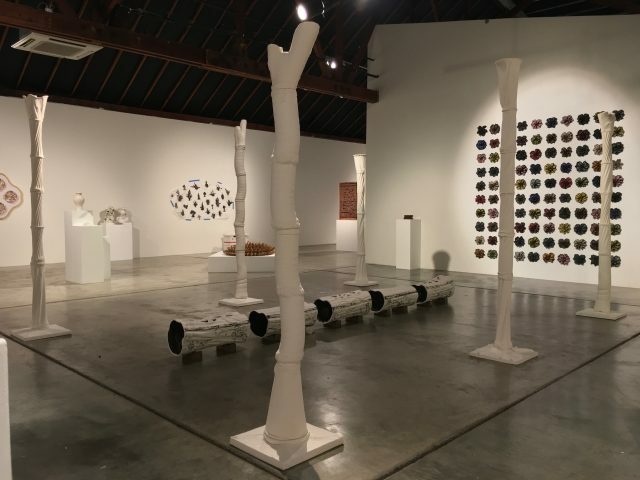 The show opened to the public on March 4, 2017, with a reception to take place on March 23 during the NCECA 2017 conference. A heartfelt thank you to Gail M. Brown, Michael Zajac, Brett Binford, and my financial supporters, WAC, MAC, CC, SSHRC, and NCECA for making my participation possible. 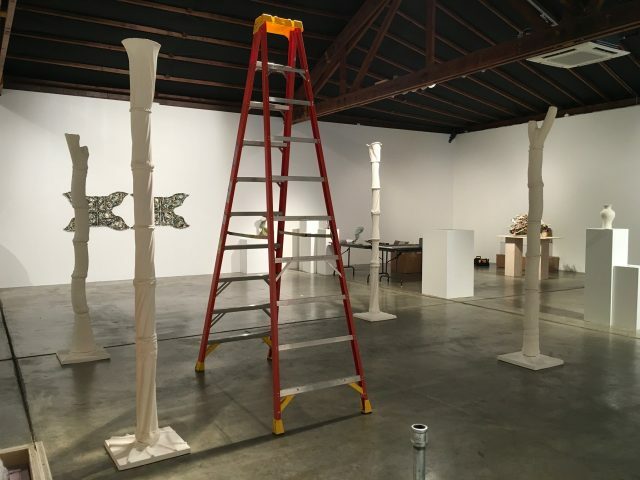 Installation of Arbor Vitae in progress at Disjecta Contemporary in Portland, OR, for the NCECA Annual Exhibition 2017, The Evocative Garden (photo by Michael Zajac). Installation of Arbor Vitae complete at Disjecta Contemporary in Portland, OR for the NCECA Annual Exhibition 2017, The Evocative Garden (photo by Michael Zajac).